You may have noticed that I'm on a nice, blogging roll! *wink, wink* As of late, I'm able to move 70% of phoebeann.me to phoebeann.com. I was initially feeling a bit meh since I lost a good chunk of old posts along the way. Looking at the brighter side, I'll have more space for new posts. I'm bidding my hosting company of over 5 years in a few days and I won't deny it -- this mad rush required some unplugging over the weekend. 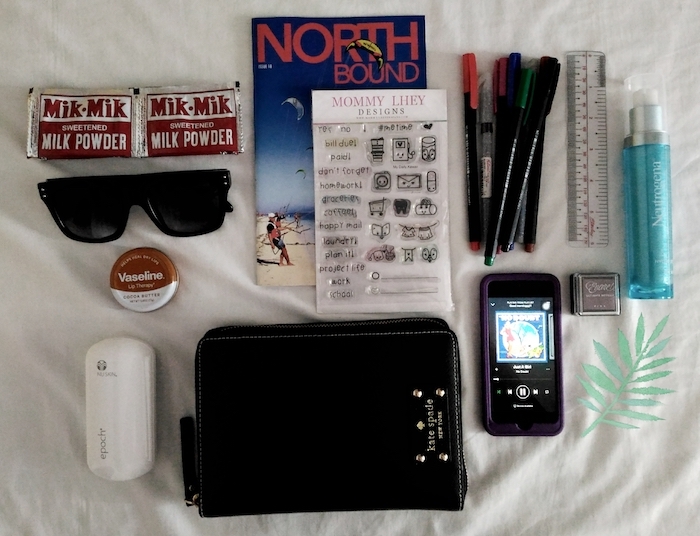 Save for the Nu Skin Mini Mist Diffuser and the Mommy Lhey stamps, all of the items above are my usual travel buddies. In a pinch, I can make do with any soap, shampoo, and toothpaste than what's on my beauty arsenal. My lip balm and moisturizer's a totally different story though -- I have to bring my own else my lips will chap (lucky if I can buy my brand along the way) and I'll get breakouts respectively. Looking back, I'm glad I brought the Neutrogena Hydro Boost Gel SPF 30 PA+++ as last weekend's moisturizer. Super storm Karen hit La Union with signal #3 and we ended up staying indoors hence SPF 30's just right. I discovered this in 2012 and it's one of the products I always recommend to friends and readers who are on the lookout for extra light moisturizers with SPF. The formula's exactly the same and applying it got me feeling nostalgic -- exactly how Mik-Mik made me giddy. 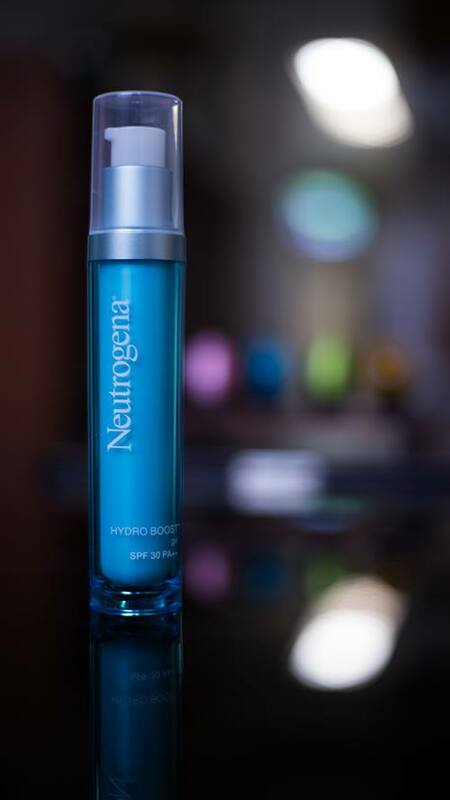 Hydro Boost Renewal Gel Cream - helps fight dullness, visible pores and dry lines. Hydro Boost Mouse Cleanser - effectively foams away impurities. Hydro Boost Essence - helps replenish and retain hydration all day long. Hydro Boost Renewal Serum - so skin looks best even without makeup. Have you tried these Neutrogena Hydro Boost products? I'm very curious about the Hydro Boost Renewal Serum -- please tell me if it worked well for you.